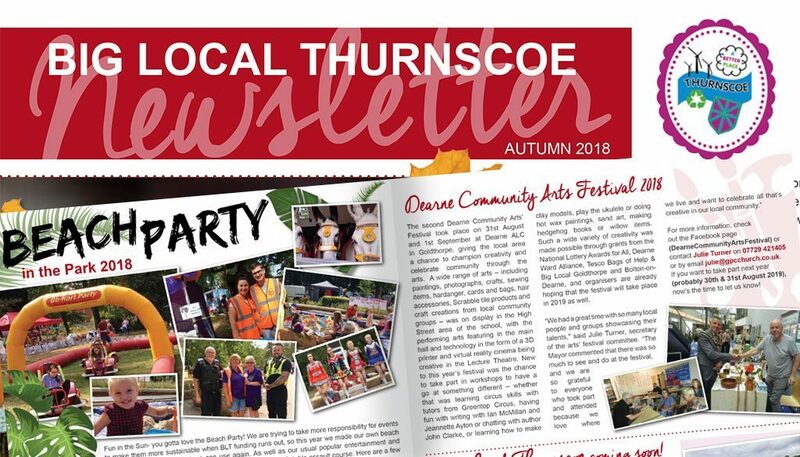 The Big Local Thurnscoe Autumn 2018 Newsletter will be with you very soon. 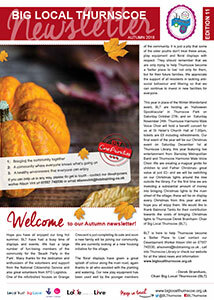 With 5000 copies distributed locally it’s a fantastic way of keeping up-to-date with what’s happening in our community. It’s packed with local news and events including our review of Dearne Community Arts Festival 2018 and information on a fantastic new befriending project to tackle loneliness.